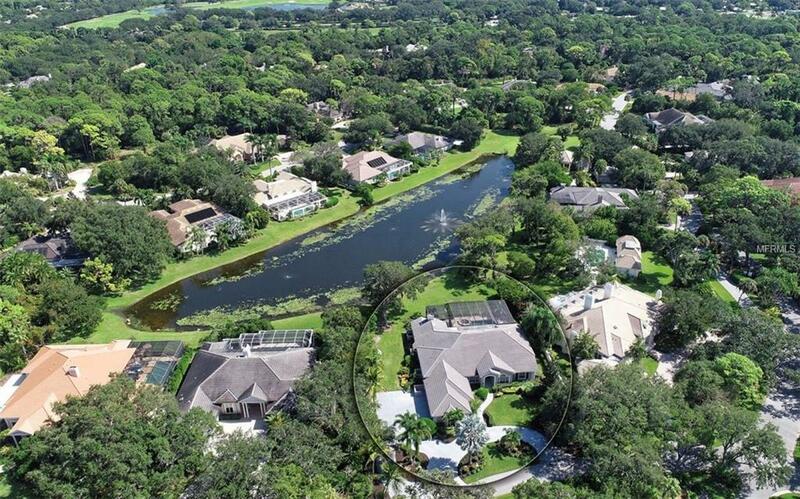 Premium lakefront location tucked away in exclusive Oaks Bayside. 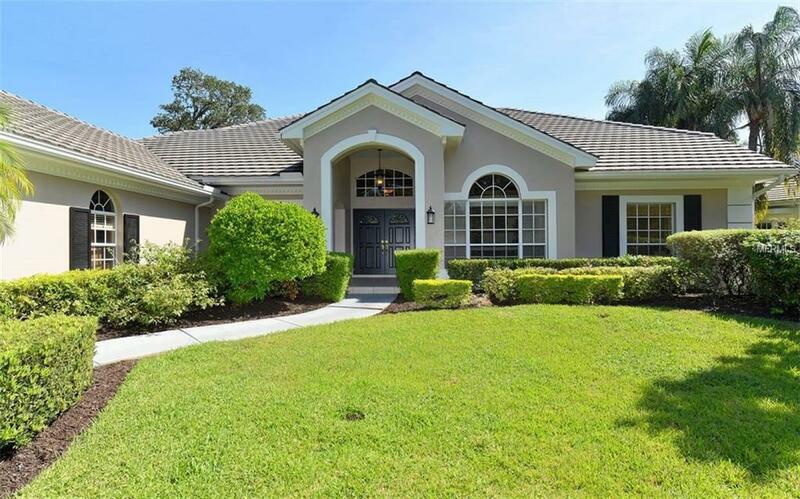 This Arthur Rutenberg "Antigua model is a perfect blend of open floor plan with designer touches.Tile and wood floors flow throughout the living spaces, Tray & vaulted ceilings give a feeling of space. 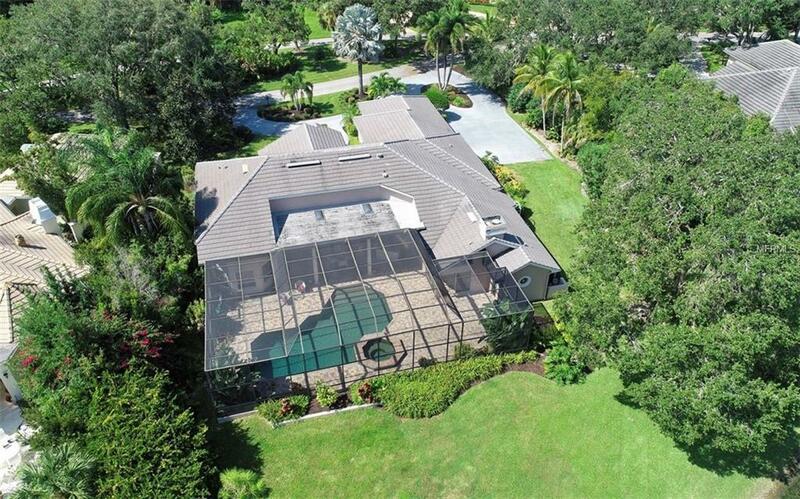 As you enter the formal entry hall, you immediately look out over the 440+ square feet of grand outdoor living space with paver deck, pool, Jacuzzi, outdoor kitchen and long lake views. Gas grill bar & pass-through from kitchen make a perfect ambience for outdoor entertaining in a tranquil natural setting. The kitchen, complete with granite countertops, custom wood cabinets, breakfast bar, island and breakfast nook, open comfortably into the large family living area. Split plan affords privacy. Shelved library/den is a delightful sanctuary to relax. Oversize laundry room and 3-car garage. 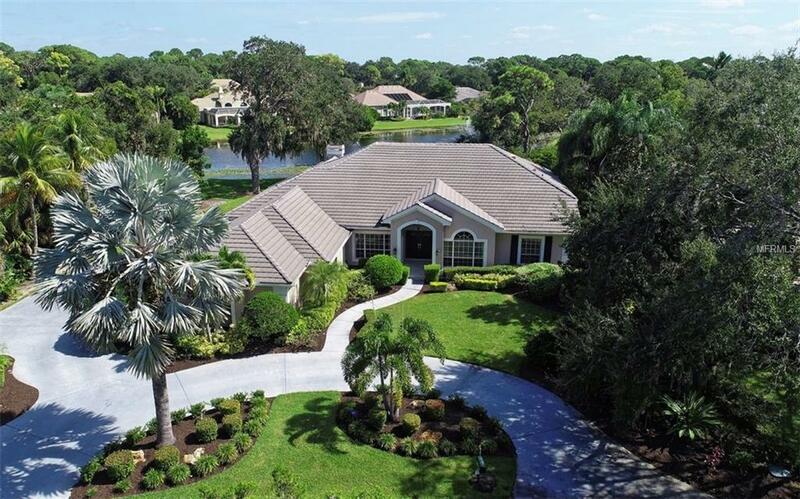 Gracious Florida living in the Oaks club amenities includes 2-18 hole golf courses, beautiful clubhouse, 12 hard tru tennis courts, club pool, playground, bocce ball and croquet court. House replumbed with PVC. Oaks club membership is available and required with property purchase. Additional Lease Restrictions Please See Association Documents For Restrictions/Guidelines.